No upcoming events. Stay tuned for more! 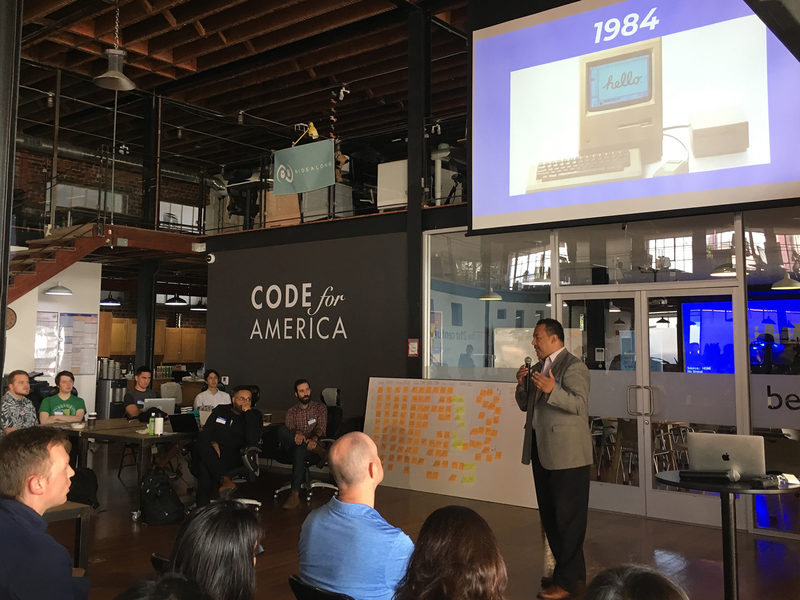 Leo Sosa of dev/Mission gave the keynote at C4SF’s National Day of Civic Hacking event. In the following interview he describes his vision for bringing equity to tech employment and how C4SF can help. Code for San Francisco is hosted at Code for America and supported by our amazing sponsors. Is your organization interested in becoming a Code for San Francisco sponsor? Drop us a line!